It looks like Samsung might bring forward the release of their new Samsung Galaxy S5 handset and we could see it hitting stores as soon as January 2014. It’s been rumoured that the latest phone in the Samsung Galaxy series could be unveiled at the next International Consumer Electronics Show (CES) which will be held in Las Vegas between the 7th and 10th January. With the success of Apple’s new iPhone 5S, Samsung will be keen to hold onto their share of the mobile phone market. Here’s what we could expect to see from the Samsung Galaxy S5. The rumour-mill has been in overdrive over the last few weeks with speculation concerning what features the Samsung Galaxy S5 will offer. It’s thought that the S5 may come with a metal design (possibly aluminium) rather than the plastic models which have prevailed for the rest of the Galaxy S series. There have also been recent reports from Korea which have hinted that the S5 will come with a similar waterproof and dustproof body similar to the Galaxy S4 Active or the Sony Xperia Z1. Leaked images on the internet also allude that the S5 may come with angled edges on the corners. Samsung have confirmed that it will definitely come with a 64-bit processor and that it won’t have fingerprint scanner technology. The new handset is expected to run on the new Android 4.4 KitKat operating system and it could also include a similar or more powerful processor as the Galaxy Note 3 which is powered by a quad-core 2.3GHz CPU, the S5 could even feature an octo-core CPU. Samsung has started mass production of low power 3GB RAM chips for their mobile phones and devices so it’s pretty likely that the Samsung Galaxy S5 will be sporting one of these. This could also mean that the S5 would be very battery efficient offering superb battery life between charging and that the new handset will be slimmer than the S4. 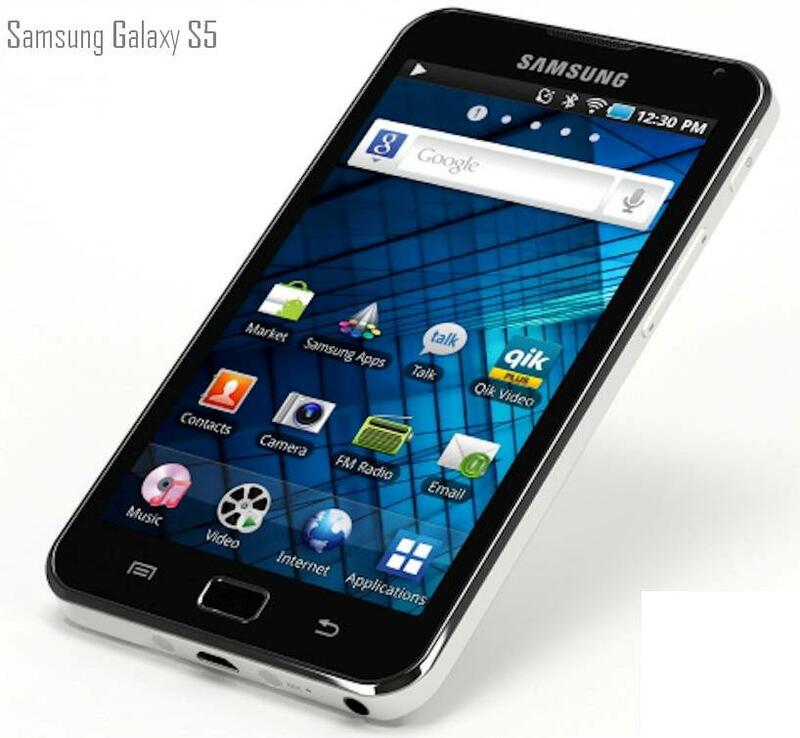 The Samsung Galaxy S5 is also anticipated to feature an improved camera with a rear-facing 16-megapixel camera compared to the 13-megapixel camera on the S4. There are also rumours that the camera will include a new CMOS image sensor with ISOCELL technology which means that photos will be more vivid in colour as well as sharper and brighter. There’s undoubtedly going to be a lot more rumours concerning the Samsung Galaxy S5 in the next few months so watch this space for more news as we get it.